As part of plans to develop skills in the country, especially in the tourism sector, a school to train chefs was started in Pretoria in February. Opened by Deputy President, Phumzile Mlambo-Ngcuka, the Compass Group Chef Academy, is supported by the Presidency under the Joint Initiative for Priority Skills Acquisition (Jipsa). It was started as a partnership between the Swiss Hotel School and the Umsobomvu Youth Fund. The school will take in 36 learners to start with. 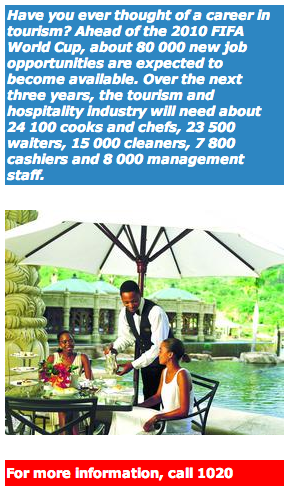 The Compass Group will train them in different subjects relating to tourism and hospitality. The opening of the school also fits in with a Tourism Skills Sector Plan for 2008/09. A study done under the Sector Plan shows that employment within the sector has grown by 7,2 per cent in 2004; 14,3 per cent in 2005; and 10,6 per cent in 2006. The Sector Plan is focusing on pointing out the scarce skills needed in the tourism industry and on ways to develop such skills. It will help to inform tertiary education institutions like colleges and universities about the training needs in the tourism sector. "They need to know that the training they are providing is in line with what is needed in the industry," said SA Tourism. SA Tourism will start a National Tourism Career Fair later this year. The fair will be aimed at the youth and will highlight the different career opportunities available to them in the tourism industry. "The skills of 2020 needs to be developed today, and the nationwide fair will go a long way towards strengthening skills in tourism in South Africa," according to SA Tourism. 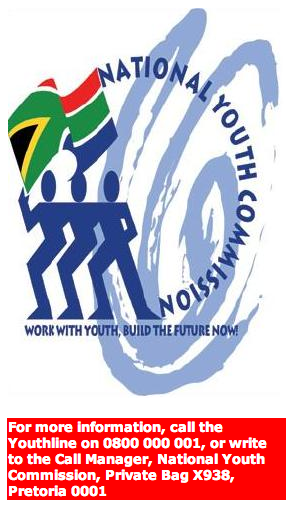 The National Youth Commission started a plan to make the youth more aware of the importance of getting an identity document (ID). The ID plan is done in partnership with the Department of Home Affairs, the Department of Education, the SABC and the Independent Electoral Commission (IEC). 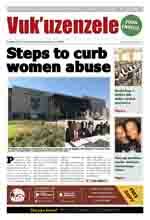 It was started in the Northern Cape, but will go to all the other provinces as well. The drive will focus mainly on schools and will speak directly to learners from the ages of 16 years as an entry age to getting an ID. They will learn about the importance of getting a legal ID, the advantages of having this important document, and that it is everyone's democratic right. They will learn that an ID is important for studying at institutions of higher learning like colleges and universities, access to exam rooms, and applying for bursaries. They will also learn that an ID is important for things like getting a driver's licence, opening a bank account, and applying for a job. While the message speaks to young people, it will also tell parents to help their children get an ID.